← CAT’S CLAW YOUR ALZHEIMER’S AWAY! GETTING RID OF ALL THAT GARBAGE! 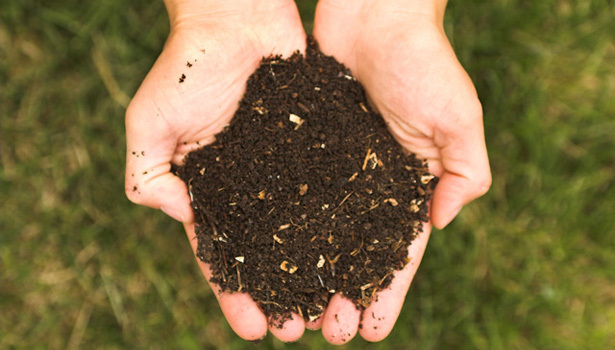 Across the United States, people are finding more and more places to deposit their compost, such as at farmers’ markets or green spaces. Once a farming and home economist tradition, composting is finding revitalization. This movement is growing in popularity as an effort to improve the state of the earth. What does wasted food mean for the environment? Wasting food misuses the time, energy, and resources in money and oil that are needed to produce that food. The food winds up costing more to the earth than the purchase price, because more energy is needed to dispose of the waste than is used to produce the food. Food rotting in landfills contributes to global warming by causing methane emissions or greenhouse gasses. Wet food waste is the main threat to groundwater or stream pollution, in addition to the potential for leaks and runoff from some landfills. You can compost several different ways. This is my composter for the kitchen – you can feel the heat it gives off! We separate our compost from the garbage in hopes Waste Management will begin to pick it up. At our summer cottage in Canada, the city provided composters and picks up our refuse once a week. So we’re moving in the right direction! Open compost bin: Choose a designated spot and make a container without a lid for “green” materials. Allow rainwater and air to accelerate the process of making the compost. This type of bin may attract pests and animals, so many people choose to top their open container with a layer of straw. Closed compost bin: Many people choose to purchase a compost bin, which comes with directions for making successful compost. These are good choices for gardeners, who use the compost to plant and grow their seeds. An online search can help find the one that is right for you. Our closed composter out in the back yard is ideal – place yard waste and my perennials in the top at the end of the season and by spring open the bottom to scoop out fresh compost to grow your garden the next year. 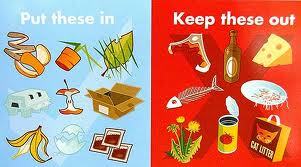 AFTER RECYCLING AND COMPOSTING THERE IS VERY LITTLE GARBAGE LEFT! EACH ONE OF US CAN TAKE THIS STEP TO HELP SAVE THE EARTH!! Awesome tips for composting! This is exactly what we need! so many people just aren’t aware of how much food wastage actually impacts the environment. Did you know there are also electronic compost bins available too that are clean and do the composting for you.